How many famous female scientists can you name — not including Marie Curie? If you’re having trouble thinking of any, you’re not alone; even scientists struggle to answer this question. 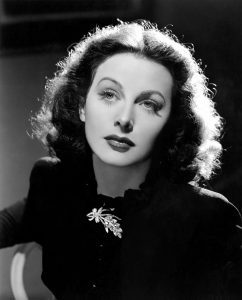 Brainy beauty … actress and inventor Hedy Lamarr. The ongoing Public Perception of Famous Female Scientists survey has, since 2004, asked over 1000 scientists and members of the general public in the UK and Western Europe to name 10 famous women scientists. So far, just over 1 per cent of respondents have been up to the task while 30 per cent could name only Marie Curie, the Polish-French two-time Nobel Prize winner for her work on radioactivity and the discovery of the elements radium and polonium. DNA researcher Rosalind Franklin and pioneering nurse Florence Nightingale (included for her statistical work) rounded out the the top three.